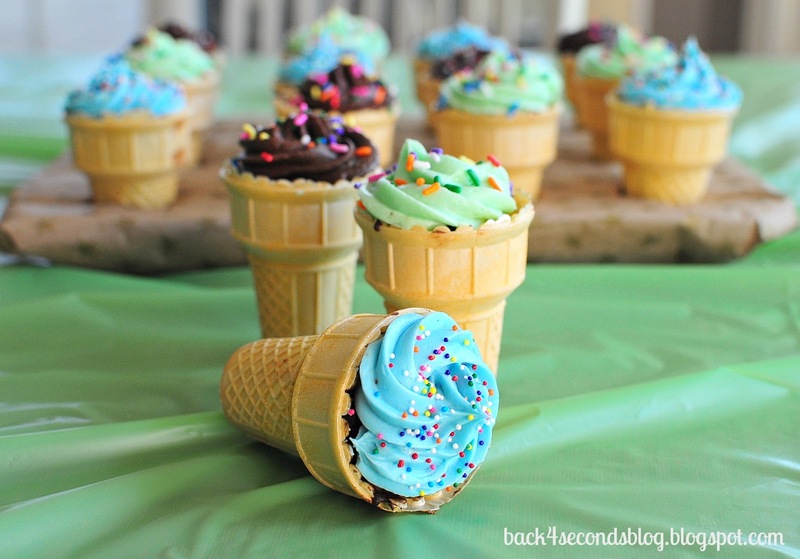 Recently I shared a little bit about my twins 1st birthday party here. 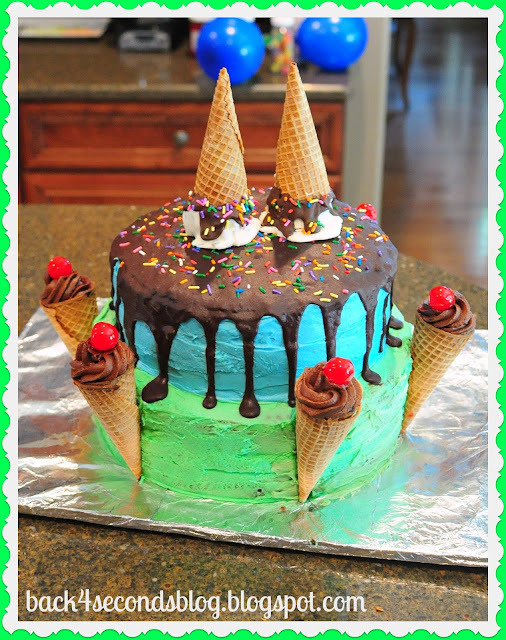 Of course, making one huge cake, 2 smash cakes, and chocolate covered pretzels wasn’t enough. I had to make something fun for all the kids at the party. 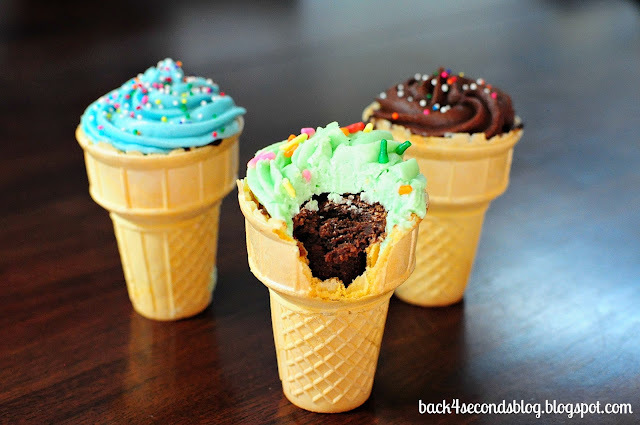 I have seen cupcake cones before, but we already had plenty of cake so I decided to whip up a batch of my favorite brownie recipe and bake those inside the cones, then frost them to look like ice cream. I bought cherries to put on top, but I thought they looked really cute with just the sprinkles. Don’t you just want to reach out and take a bite? In a large bowl stir together the melted butter and cocoa. Mix in the sugar until smooth. Add eggs one at a time until well mixed then add salt and vanilla. Slowly add in the flour and stir until smooth and well blended. 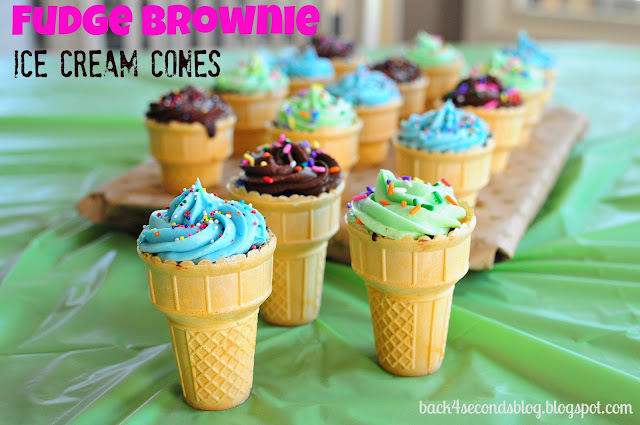 Pour into 20 cones and fill to about 1/2″ from the top. Bake on cookie sheet about 15 minutes or until a toothpick inserted comes out with fudgy crumbs. 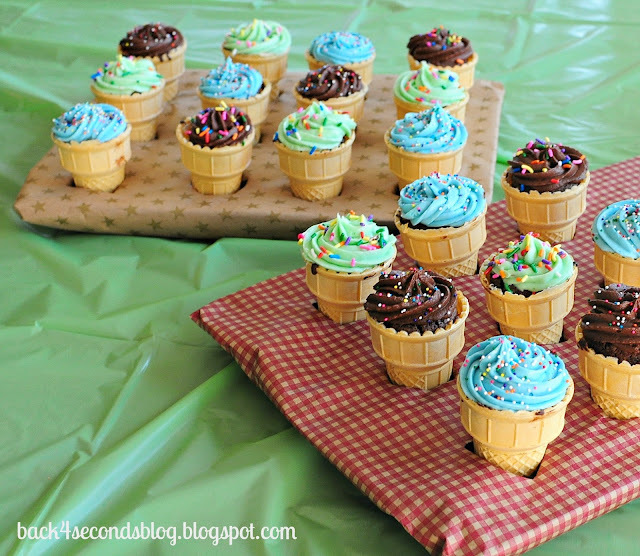 Let cool and pipe on your favorite frosting. Store at room temperature in a covered container for up to 5 days.